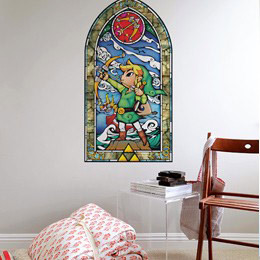 Stock: Special Order Only, available in 2 weeks. 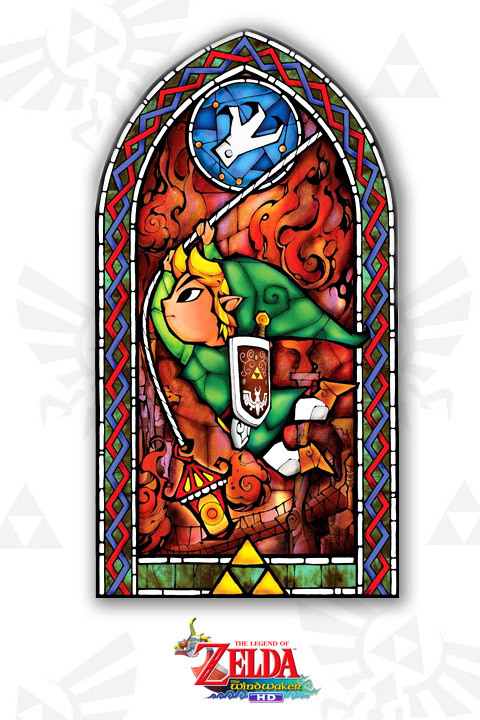 First published in 1987 by Nintendo, The Legend Of Zelda was the first video game to introduce a totally new game play combining action, adventure, reflexion and role playing. 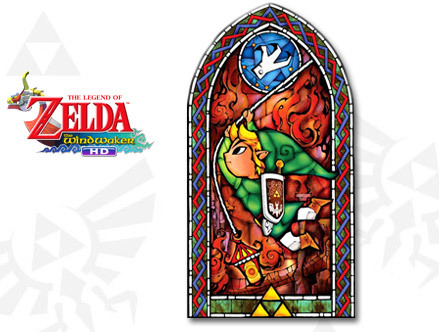 The Artwork for these stained glass Wall Stickers was created for the new 'WindWaker HD' WiiU series, and there are 7 more to collect! 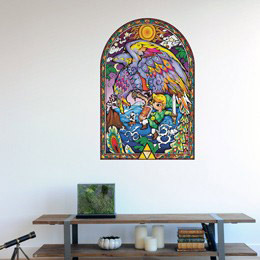 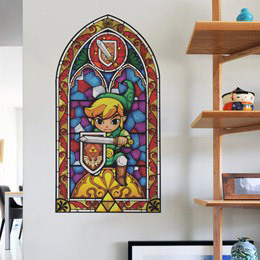 The Legend of Zelda, a timeless classic and one of the most famous adventure video games, is now available as giant Wall Stickers in a unique and colorful stained glass art style, with 8 different scenes! 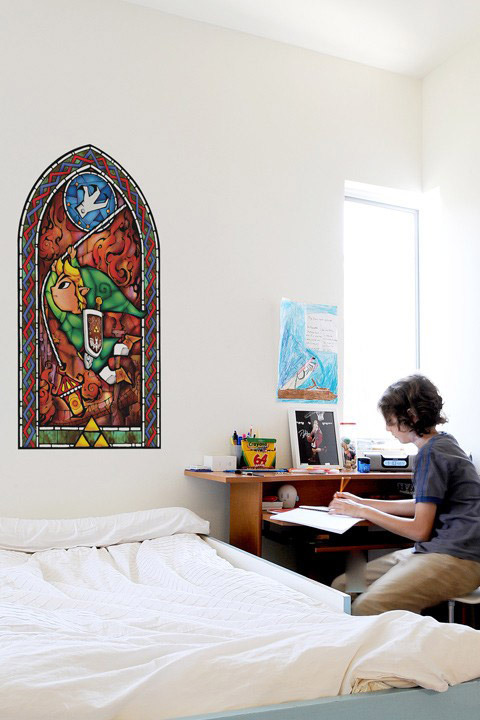 As with traditional stained glass, these Giant Wall Stickers each tell a story taken from 'The Wind Waker', where Link, the real hero of the game, must save princess Zelda. 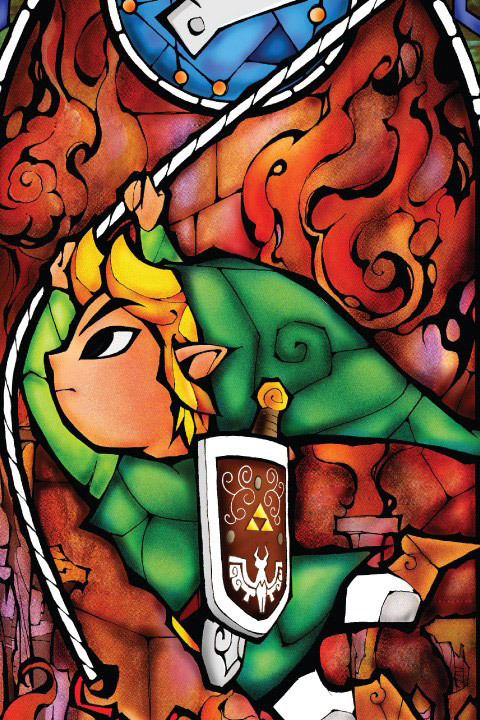 Here Link has just found the The 'Grappling Hook'. 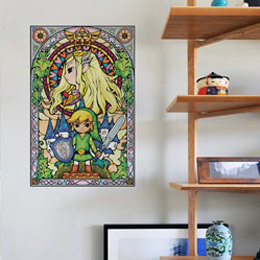 Our Legend of Zelda Wall Stickers are officially licensed products.